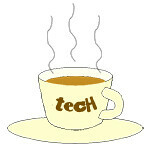 Western Digital « Tech bytes for tea? WD today announced it is now shipping to OEMs the world’s first ultra-slim 2.5-inch, 5 mm hard drives and solid state hybrid drives (SSHD), which are designed for integration into the slimmest devices and space-constrained computing environments. Manufacturer’s Suggested Retail Price (MSRP): S$119. WD Blue ultra-slim 2.5-inch, 5 mm hard drive. MSRP: s$119. With 500 GB of storage capacity and models with high performance-enabling solid state hybrid drive technology, this slim product line strikes a fine balance between capacity, physical size and performance. WD designed the new WD Blue and WD Black 5 mm drives to enable new levels of device portability. In addition, the slimmer and more portable the device, the more vulnerable the hard drive is to user-induced stress. Here’s your chance to win a My Passport 2TB, a My Passport Studio 2TB, or a My Passport Edge 500GB portable hard drive, worth a total of S$637. Giveaway ends 31 March 2013. We have the final winner for the WD My Passport Studio 2TB (S$299). It is Rex Heng. Congratulations! I will be contacting all the winners by email to arrange the mailing/delivery of the WD My Passport hard drives. To all the others who took the time and effort to submit your entries, THANK YOU! We have the winner for the WD My Passport 2TB (S$229). It is Denise Ting. Congratulations! We have a winner for the WD My Passport Edge 500GB (S$109). It is Lam SK. Congratulations! Stand a chance to win a WD My Passport 2TB (S$229), My Passport Studio 2TB (S$299), and My Passport Edge 500GB (S$109). We consume so much music, photos and videos in our digital life, there’s just not enough storage to bring them around or back them up. From now till 31 March 2013, simply share – in less than 50 words – how you plan to use any one of the three WD My Passport portable hard drives should you win it. Post your responses as comments at the end of this post. Check out the rules of the Giveaway below. WD Singapore is having a contest on its Facebook page – called “WD’s Winning Five”. Simply submit – today or tomorrow – your particulars via its contest app and you may be randomly selected as one of 10 lucky winners. Win one of five main prizes or one of five consolation prizes at WD Singapore’s Facebook page. The winners will be announced over six days from 18 to 23 March. If you’re selected as a daily winner and have an IT Show 2013 invoice for any WD product purchased, you’ll receive an additional S$40 CapitaLand voucher! WD’s My Passport Edge 500GB is slimmer than its siblings in the My Passport range of portable hard drives, supports both USB 2.0 and 3.0, and comes bundled with backup and data protection software. RRP: S$109. WD My Passport Edge offers high capacity in an ultra-compact design – an ideal companion for anyone who needs to take their digital content on the road. Only available in 500GB capacity, My Passport Edge is ultra-compact and comes with automatic, backup software, software protection and hardware encryption to help protect your files from unauthorised use. WD My Passport Edge measures 110 x 82 x 12.5 mm and weighs 255g. Only 12.5mm thin, My Passport Edge comes pre-formatted with NTFS for Windows computers (up to Windows 8), and WD SmartWare backup software and WD Security hardware encryption with password protection. WD’s My Passport 2TB portable drive supports both USB 2.0 and 3.0 and has an outer shell that is resistant to scratches and fingerprints. RRP: S$229. WD My Passport 2TB offers high capacity in a sleek portable drive. There’s plenty of room to store all your photos, music, movies and files. Launched last year, the 2.5-inch-based My Passport 2TB portable drive was the first to squeeze such a high capacity into a portable drive – at a time when rivals believed cramming such capacities required new recording technology. My Passport 2TB measures 111 x 82 x 21 mm and weighs 230g. A single standard half-metre USB cable connects the drive to the computer and provides both the data and power connection.